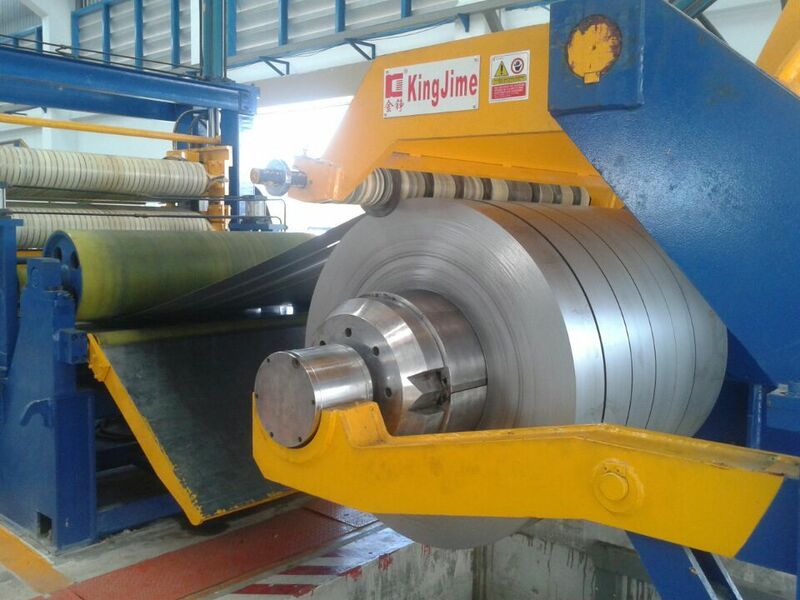 Comments: Slitting line machine not only for the steel serivice cutting industry, but also for the pipe industry. 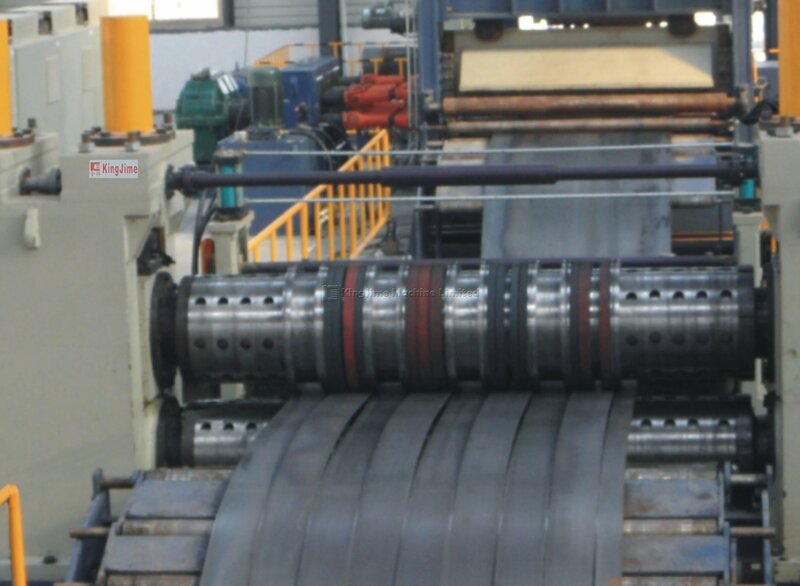 A lot of customers make the pipes before slitting the large coil to the small size of coils. 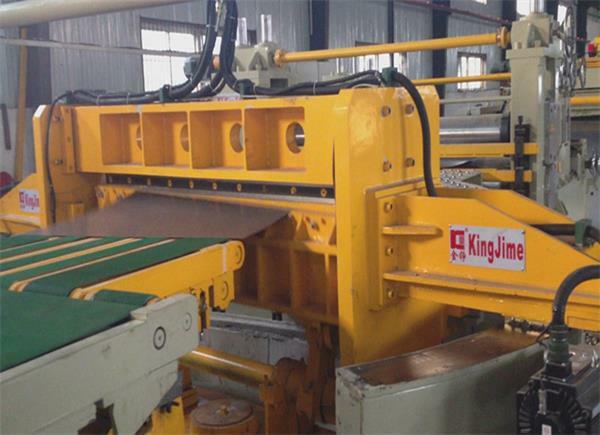 KJS40 series heavy gage precision slitting production line is developed by KINGJIME for some customers to cut max. 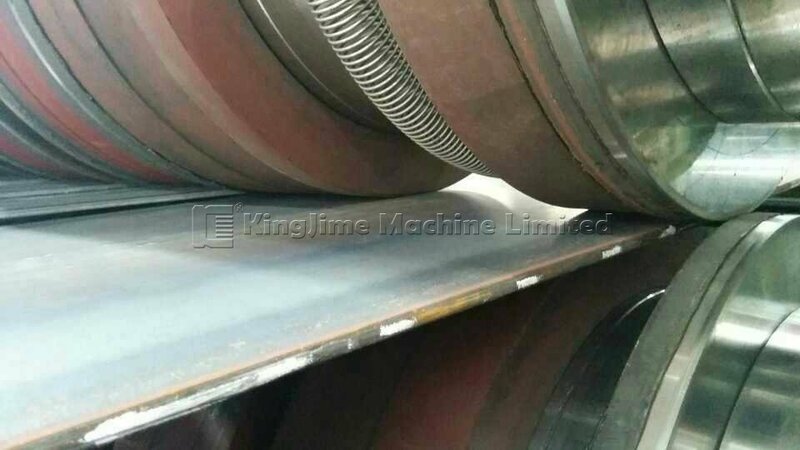 8,12,16mm thick, from max.1250mm to 2500mm width of coil . 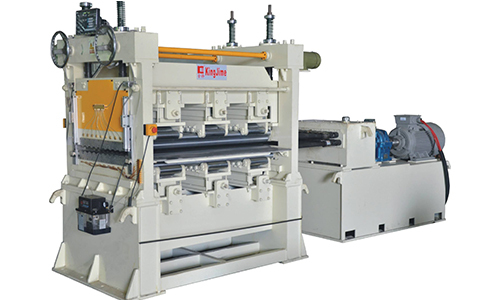 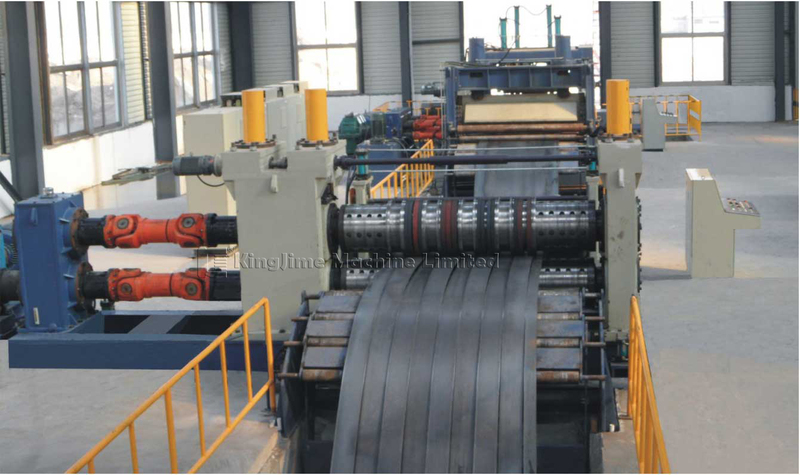 The machine can do uncoiling,straightening, slitting and recoiling works. 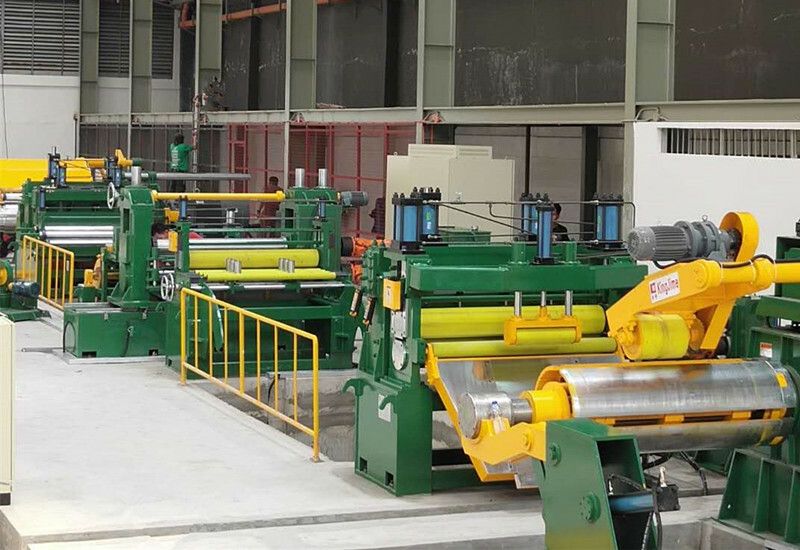 The machine consists of coil car, dual-cone uncoiler, coil guide,straightener and gear box , slitting machine and gear box , scrap winder, tension unit, recoiler and asisting support, push-off, hydraulic system, electrical system and so on. 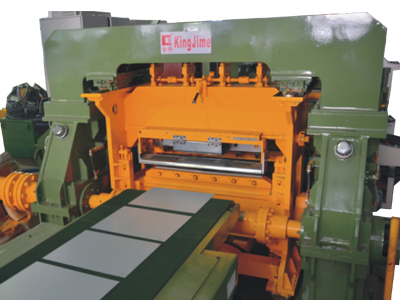 The heavy gage series slitting production line can display enterprise powerful capacity. 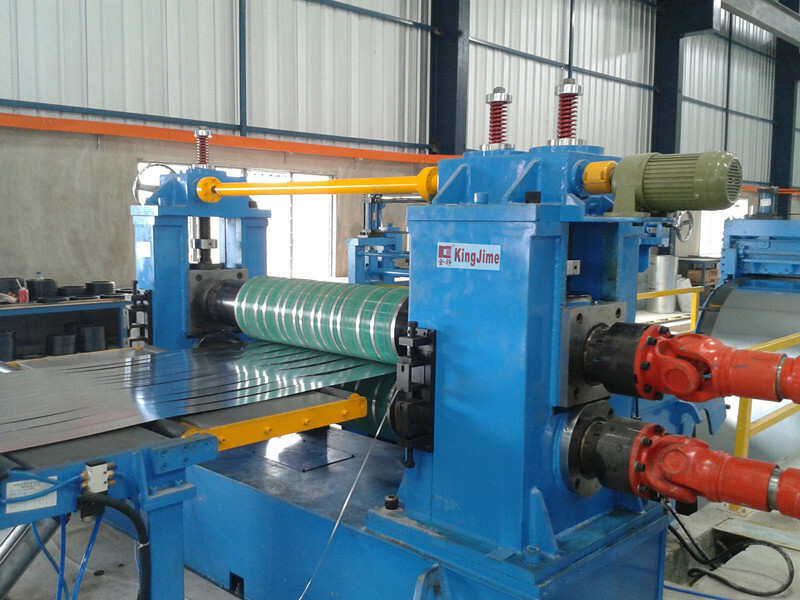 The whole line is controlled by PLC with computer display.The information of order amount, cutting strips and line speed can be input to the PLC systems. 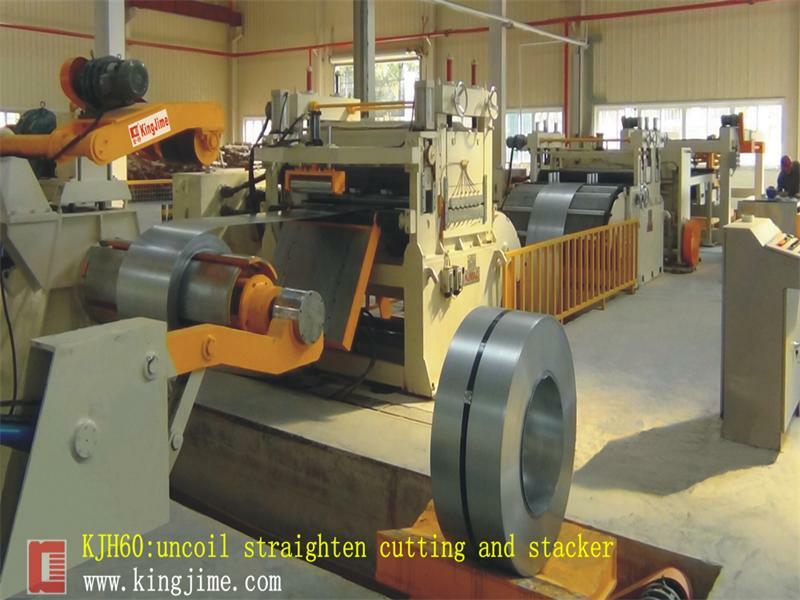 When the need shearing length is reached, the machine can cut automatically.The line speed can be adjusted. 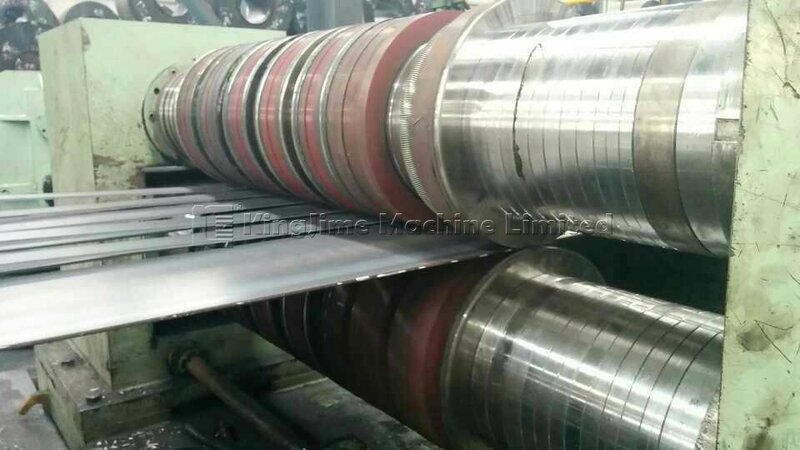 This line is highly automatic with precision measuring, efficient production, reliable performance, easy operation and maintenance. 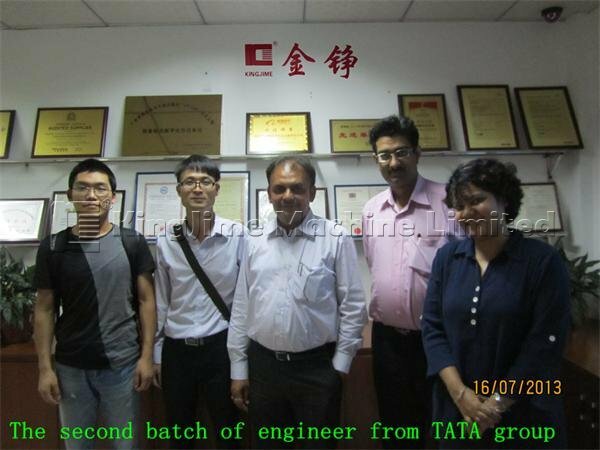 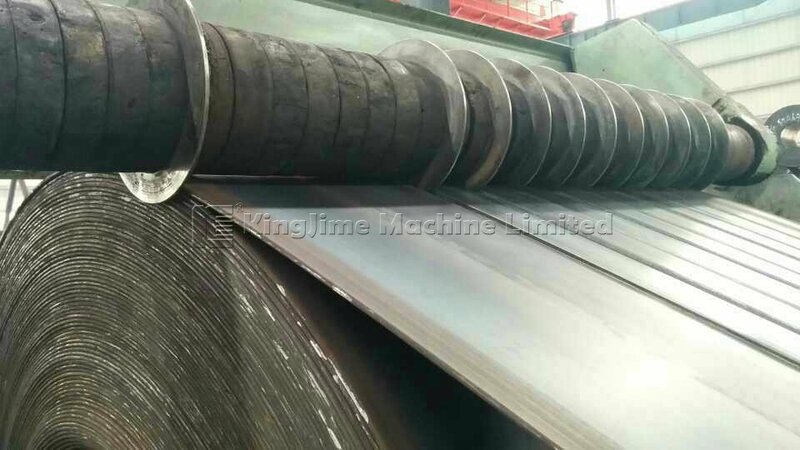 Kingjime machine Limited is a TaiWan of Chinese technological enterprise manufacturer with Japanese technology to make steel coil cut to length line ,slitting line ,High Frequency pipe mill machine,nc servo feeder machine .We owned National high and new technology enterprise with 40 patents and intellectual property rights over the last for years.welcome to kingjimemachine as they! 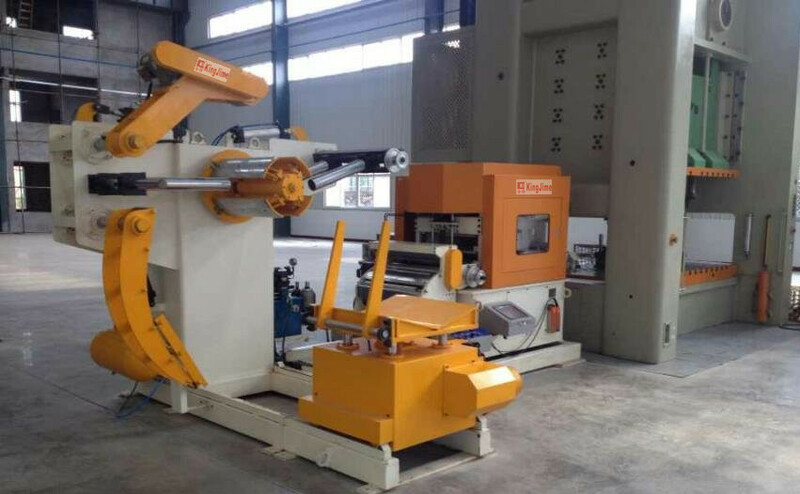 We will be in the equipment arrival, immediately arrange overseas after-sales service engineer in 15 working days or so to complete equipment installation and commissioning work,we have established steady cooperation with customers in over 58 countries.If you keep in touch with us, we can provide you need the machine to work in the field of video.